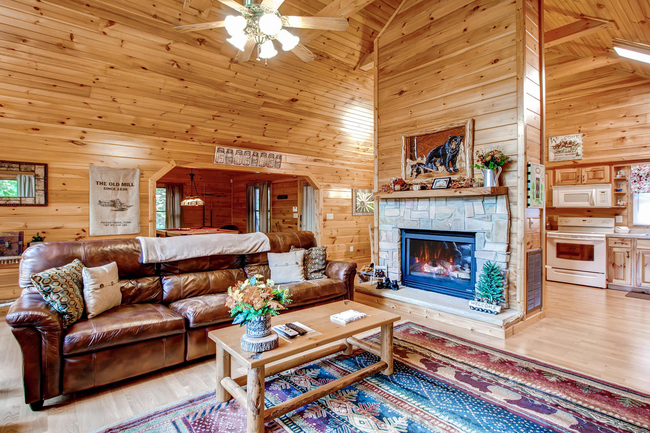 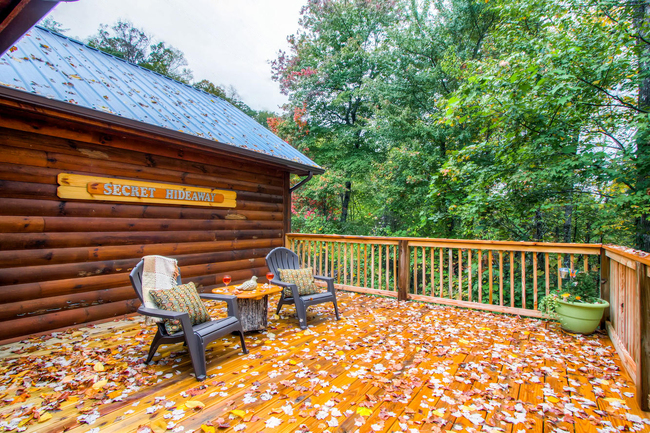 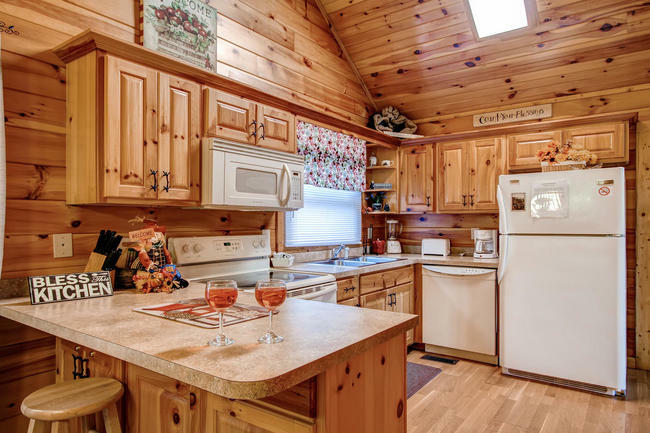 Secret Hideaway is a contemporary 1 bedroom 1 bath log cabin located on a mountain ridge that offers both privacy and convenience to Gatlinburg and Pigeon Forge. 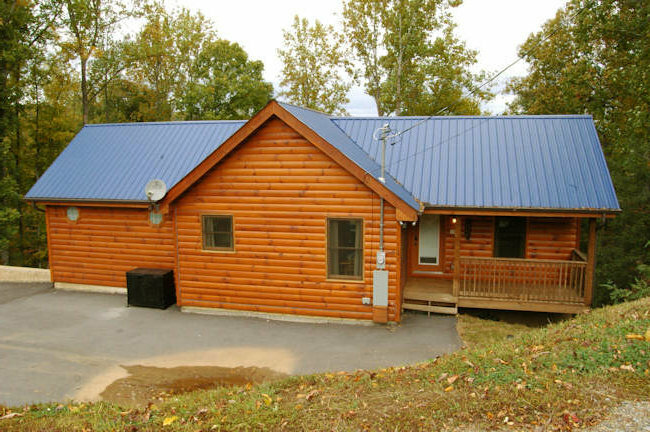 This log cabin is just what you are looking for whether it be a honeymoon couple or a family get-away. 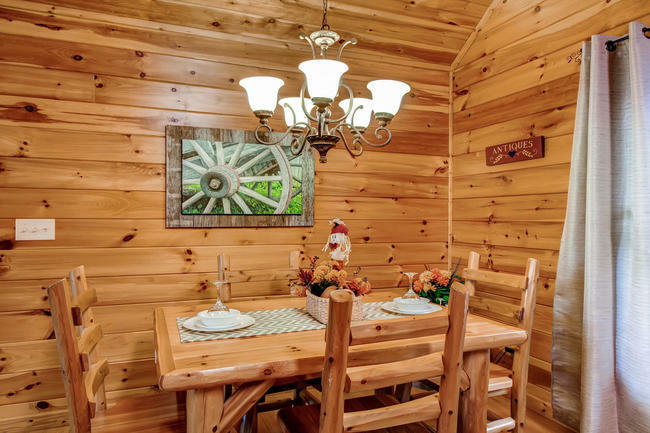 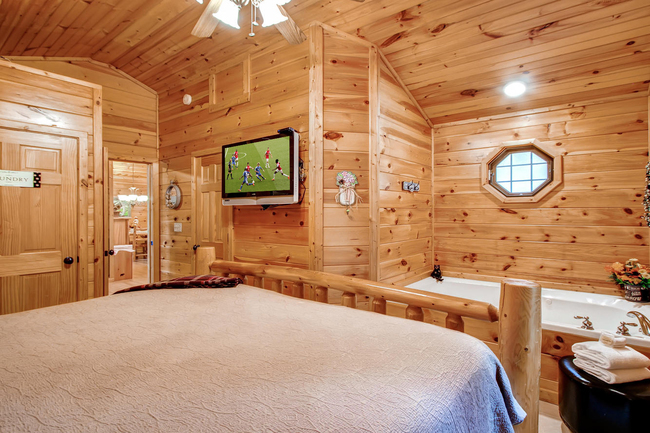 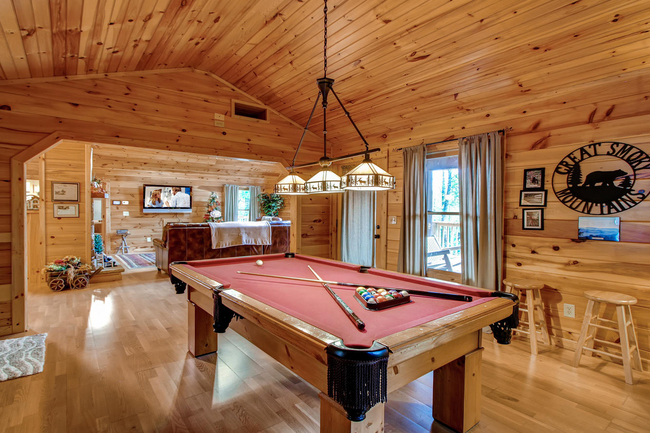 This cabin has the serenity and luxury you are looking for. 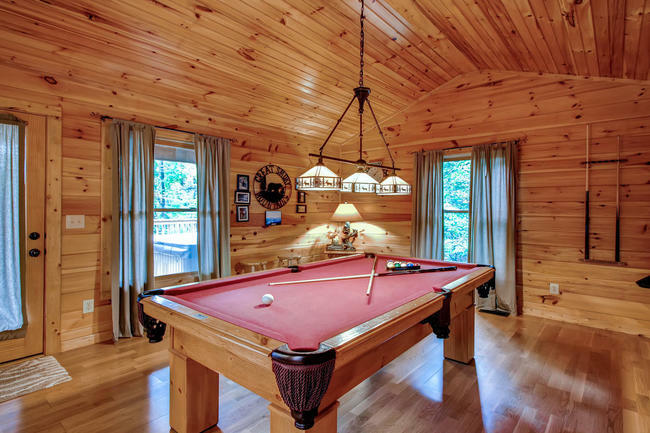 Relax and enjoy the beautiful views in the living room that bring in the outdoors while warming by the fireplace or step into the recreation room and play a game of pool. 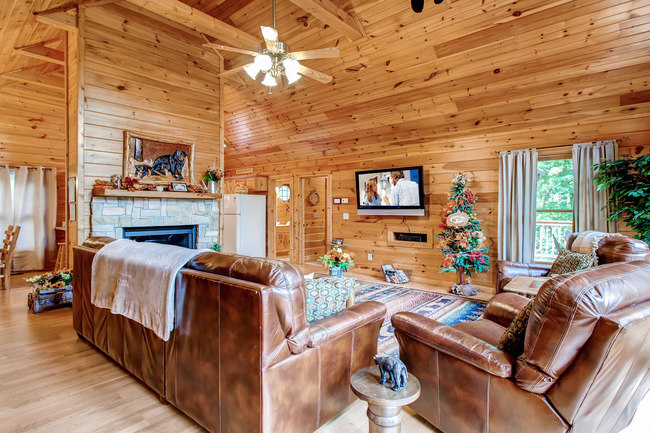 Enjoy a ballgame on the 52" TV HDTV or take advantage of the gree internet WIFI while resting on a leather recliner. 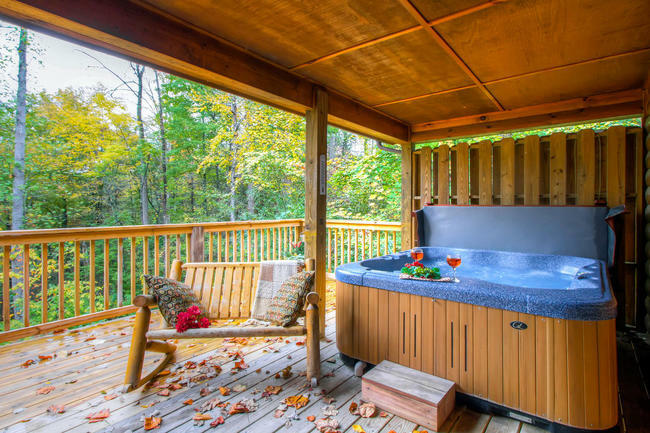 Get lost in the evening while relaxing in the privacy of your own private outdoor hot tub, or the romance of the private indoor jacuzzi in the master bedroom. 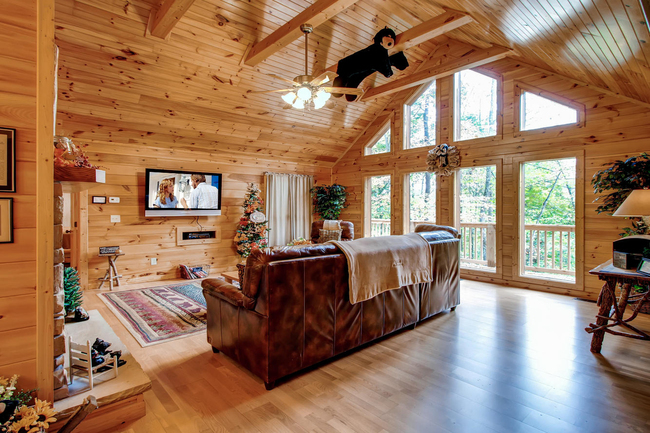 Relax in your ultra comfortable "King Size" log bed with the convenience of a large 42" flat screen HDTV at your fingertips. 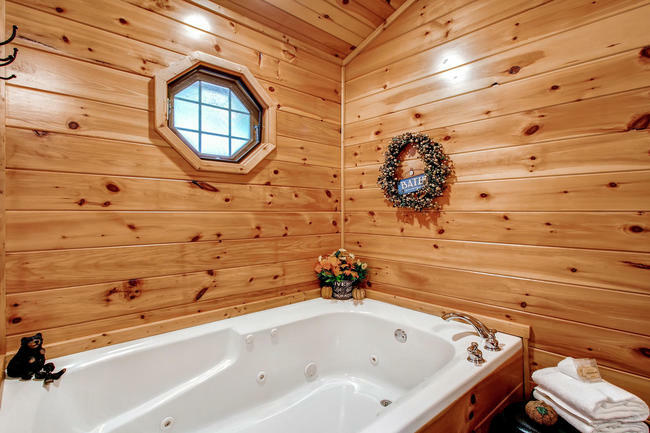 Indulge and unwind in your own private bedroom jacuzzi. 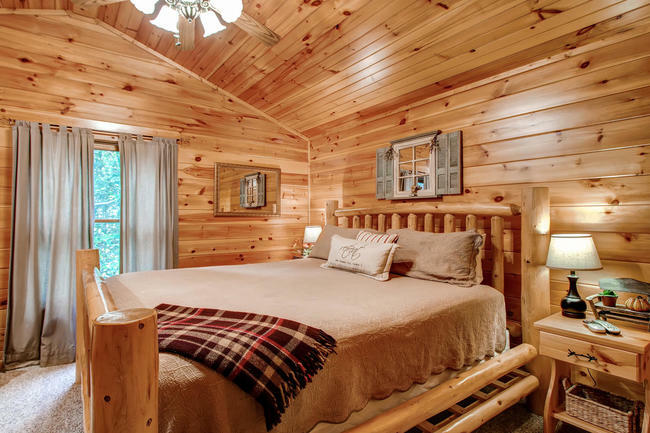 This cabin is perfect for honymooners and family get-aways. 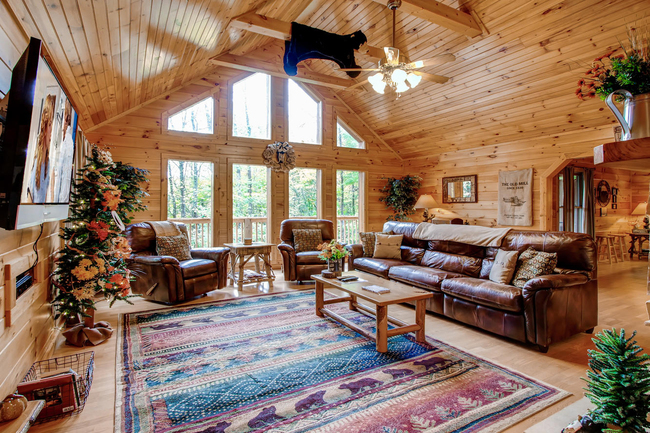 Enjoy the private views and convenience to Gatlinburg / Pigeon Forge.